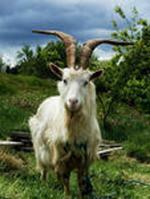 as compared to sheep, common goats, or milk goats. There is considerable variation in the size of goats, but mature bucks will usually fall in a weight range of from 180 to 225 pounds but do not reach their maximum weight until after five years of age. Does will fall in a weight range of from 70 to 110 pounds when mature. delicate of our domesticated animals. They are more susceptible to damage from internal parasites than are sheep. They are extremely delicate at birth, and the young need some protection during their first few days if the weather is cold or damp. 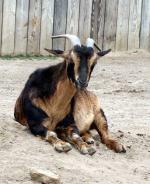 Although the mature goat is fairly hardy animal when in full hair, it cannot withstand cold wet rains immediately after shearing. 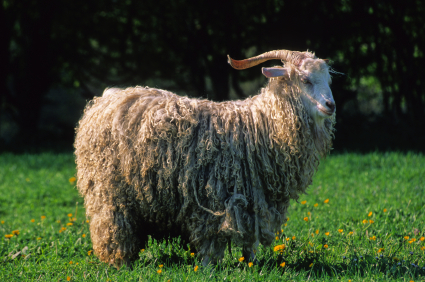 Storms cause excessive losses in Angora flocks at kidding time or at shearing time.